Aadi Thengai paal payasam is a yummy payasam prepared with Coconut and Jaggery during Aadi pandigai. 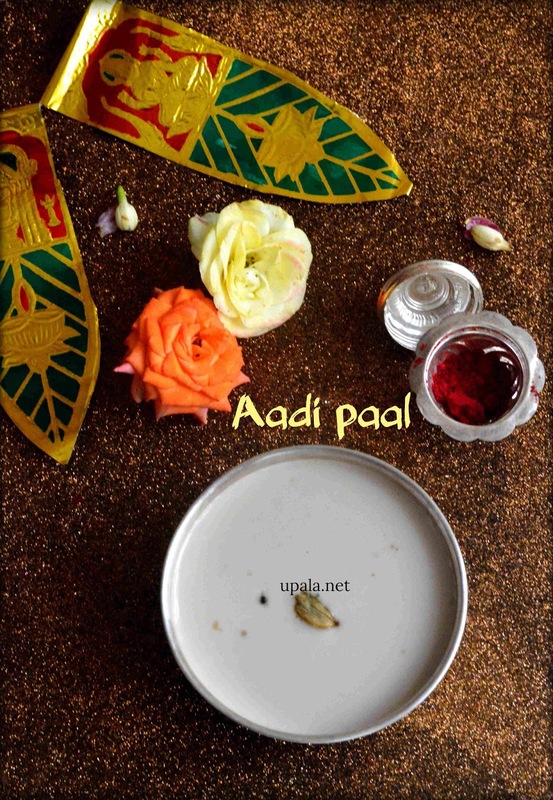 Other important recipe prepared during Aadi masam is nutrition rich Manja pongal . 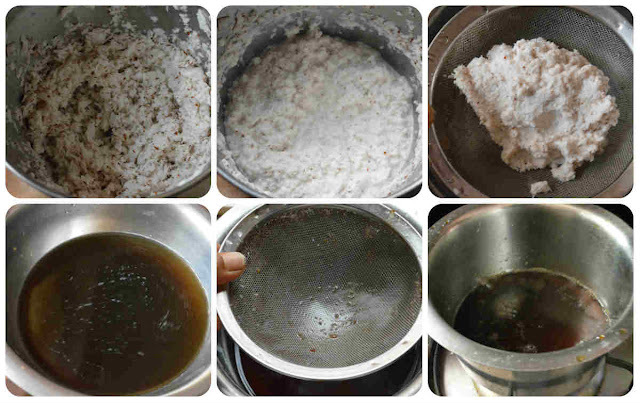 1) Grate the coconut and grind it by adding enough water. Strain the ground coconut through a strainer to extract thick first milk and set aside. 2) Transfer the strained mixture to Mixer and grind again by adding enough water. Extract the second milk and set aside. 3) Now dissolve the jaggery in warm water and strain it to remove impurities. Boil the Jaggery to make slight syrup consistency. 4) Now add the second milk and stir. Next add first Coconut milk and keep on stirring also maintain low flame through out this process. 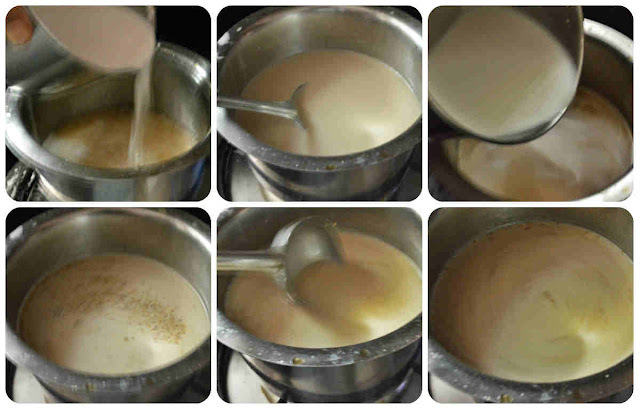 Heating this paal mixture till frothy is enough, too much boiling will curdle the milk. 5) Finally sprinkle Cardamom powder and mix well. 1) When boiling thengai paal maintain low flame and leave it till frothy. Too much boiling will curdle and less boiling leaves Raw smell. 2) After switching off the flame, you can also add cashews fried in ghee. 3) If you feel that this thengai paal is heavy, you can also add 1 cup of boiled cows milk. Sweetness will also get reduced. 4) The colour of this thengai paal depends on the variety of jaggery that you use. Here, I have used organic jaggery.